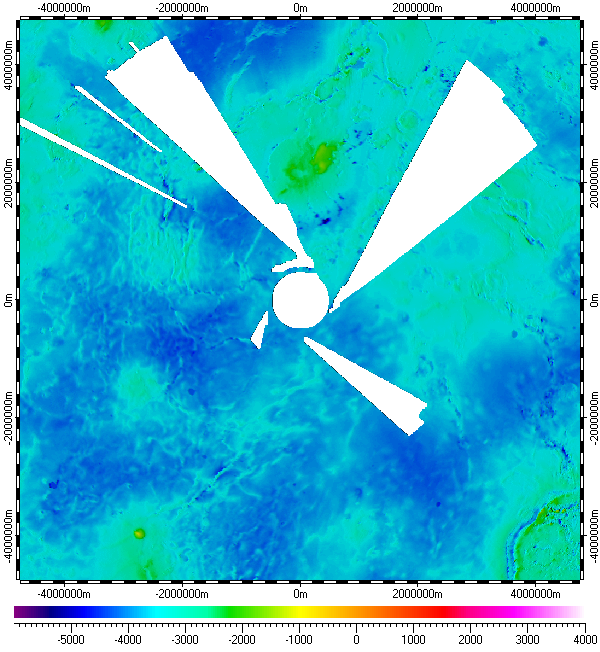 The datum of Digital Elevation Model of South Pole of Venus, included in the archive, derived from raster data of Global Topography Data Record of Magellan mission, which distributed by Planetary Data System (PDS) of NASA. Base resolution of the datum is about 4641m. The data uses Polar Stereographic Projection with true scale latitude of -90°. Also the datum contents set of spatial regions covering main features of South Pole of Venus. VenusSouthPole.zip - Size: 5,363,814 bytes (5.11 MB); MD5: 3232726265DED5173670E8187E7BE21D.